The date was Wednesday, February 7 and the venue was the Federal Executive Council Chamber at the State House, Abuja. Council members had just concluded deliberations on all issues listed for discussion. Then it was time for AOB – Any Other Business. Swiftly, Mr. Solomon Dalung, Minister of Sports, signified his intention to ask a question. He was immediately recognised by President Muhammadu Buhari, who chaired the meeting, to take the floor. With his microphone turned on, Dalung’s voice resonated across the council chamber. He sought to know if it was true that the president had reappointed the Minister of Transportation, Hon. Rotimi Amaechi, as the director-general of his re-election campaign for the 2019 presidential election. 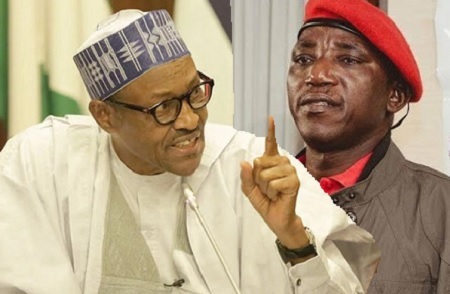 Dalung told the president that “someone” had been going around, claiming to have been appointed the DG of the president’s re-election campaign and that the president would be seeking re-election in 2019. He said that person seemed to be the only one who knew about this. He, therefore, sought to hear from the president if the claims were true. He added that as his ministers, they all deserved to know and hear such things directly from him because it could give undue advantage to those advancing the cause. Immediately, there was pin-drop silence in the council chamber. All eyes were locked on the President. But Buhari quickly broke the ice as he turned off Dalung’s microphone and moved on to see if there was anyone that had anything to say under AOB, without as much nodding to the issues raised by Dalung, let alone addressing his concerns. A source present at the FEC meeting, said from his own observation, it was a surprise question and the president must have been disappointed by Dalung’s enquiry, more so that he was one of those ministers, who created the impression that they enjoyed special relationship with the president. The source was of the opinion that Dalung should have discussed such issue with the president on one-on-one basis, considering the current political atmosphere and the fact that one of the cabinet members had expressed her preference for another candidate in next year’s presidential election. Another FEC source said the question raised by the sports minister was preceded by a mild drama among some of the ministers, a few days before the last FEC, and that his intention might have been to clear some of the grey areas that were spotted during a different meeting of the ministers. He said Amaechi was at the last meeting in the home of that minister where he intimated his colleagues of his appointment and added that the president might be seeking re-election. Unfortunately, all the ministers at the meeting were said to have been disappointed at the handling of the president’s re-election project so far as they opined that as direct appointees of the president, Amaechi was not the one to break such news to them. Some of the ministers were also said to have faulted Amaechi on how he had been carrying on since the said appointment and warned that such disposition could divide the party ahead of the presidential election. It was, perhaps, the mood at the extra-council meeting that Dalung took to last week’s FEC to clear the air with the president but to which he got no answer except a “loud silence”. However, a prominent national officer of the APC and elected official of the party said his own interpretation of the development was either of two things: that the silence was a confirmation of the letter appointing Amaechi as DG campaign or that the president was actually a reluctant candidate. But a source close to Amaechi has dismissed the misgivings of those against his appointment as unfounded, saying, “The only problem with it is that they never expected that Amaechi would play yet a prominent role in the re-election of the president. That, indeed, is the basis for the conspiracy against him.